The Opatija Riviera is a place that according to Slavic mythology was chosen by the gods who inhabited the slopes of Mount Učka, and it was also a resort for kings and emperors in the late 19th century. Today, it still offers spectacular scenery and royal treatment to every visitor. The Riviera is named after Opatija, a town that was the cradle of modern European tourism and which has for more than 170 years been considered one of the most elite Mediterranean destinations. [pullquote]Everything started with the Villa Angiolina in 1844, which was built by the Rijeka patrician Iginio Scarpa in honour of his wife. The villa soon became a favourite meeting place for the nobility, which at the time included the Empress Maria Anna and the Croatian governor, Ban Josip Jelačić. 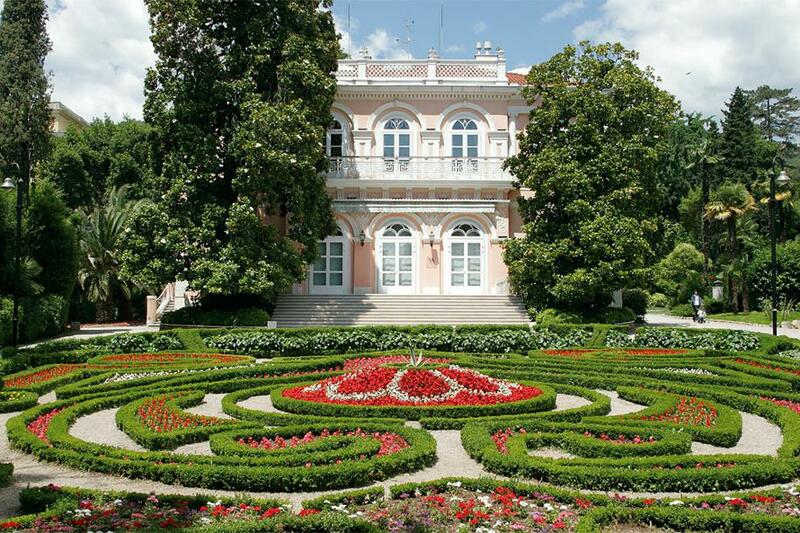 The villa is located at the heart of Opatija’s most beautiful park and is today open to the public, as it is home to the Croatian Museum of Tourism and its exhibits that evoke memories of the early days of Croatian tourism. [/pullquote] It is therefore the perfect place to learn more about the history of tourism on the Riviera. In addition to the Villa Angiolina, the Croatian Museum of Tourism occupies two more attractive venues: the Swiss House, located in the park amidst relaxing greenery a few steps from the Villa Angiolina, and the Juraj Šporer Arts Pavilion, which hosts exhibitions by renowned artists. However, it would be wrong to assume that the history of tourism on the Opatija Riviera can be found only in museums. It is within the reach of every visitor to the town, so why not take the opportunity to learn more about this tradition? We invite you to take a walk along the Lungomare coastal promenade just like the Emperor Franz Joseph did in the past. After all, this promenade today bears his name. You can also pay a visit to the local cafés to sample desserts that in the past were only served in Opatija and at the Viennese Court, or admire the sunrise while listening to the murmur of the sea and taking in the fragrant scent of laurel, just like so many couples in love before… Seventeen decades of tourism in this area are a guarantee of quality of service, as the local tourism professionals are particularly proud of their tradition and have carefully handed down knowledge from generation to generation. The hotel business on the Opatija Riviera, which started in 1884 with the construction of the Hotel Kvarner (the first hotel on the Croatian Adriatic), today still continues the “old school” tradition in which the guest always comes first. It is therefore no wonder that many visitors return again and again, and that some of them even find their home away from home here.